TART Trails Inc. Recycle-A-Bicycle Program is a non-profit initiative providing economically disadvantaged individuals in the Grand Traverse region refurbished bicycles for transportation purposes. Donated bicycles are made useful again providing clients independence through a healthy and affordable mode of transportation. 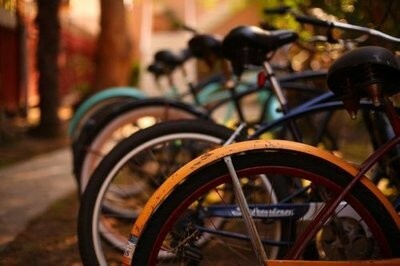 Recycle-A-Bicycle provides multiple economic, health and social benefits to the community.